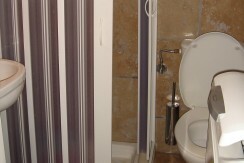 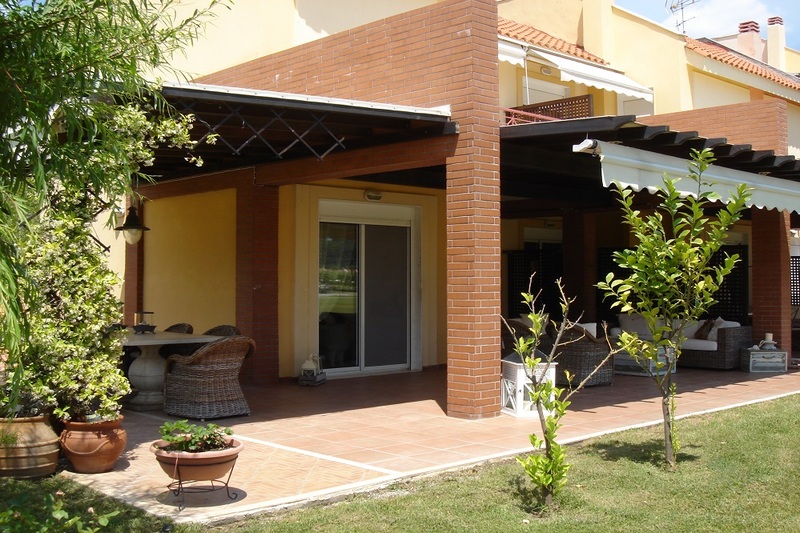 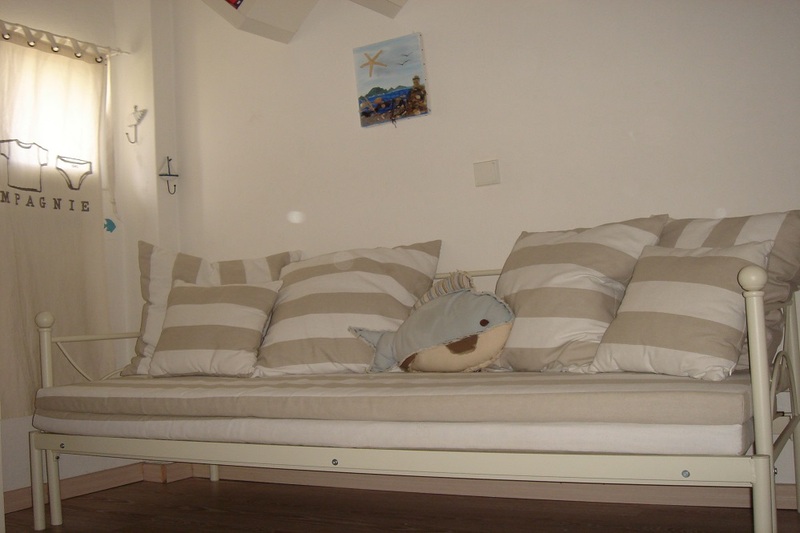 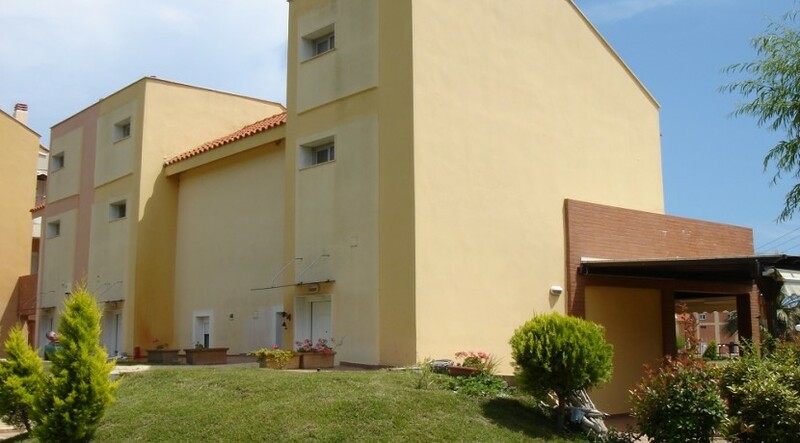 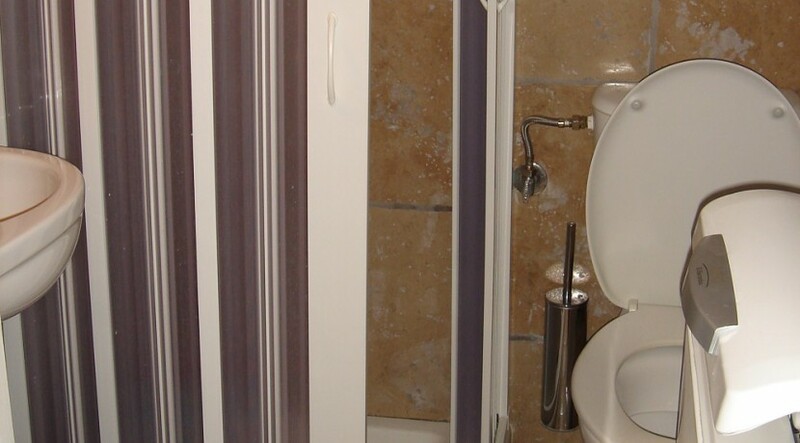 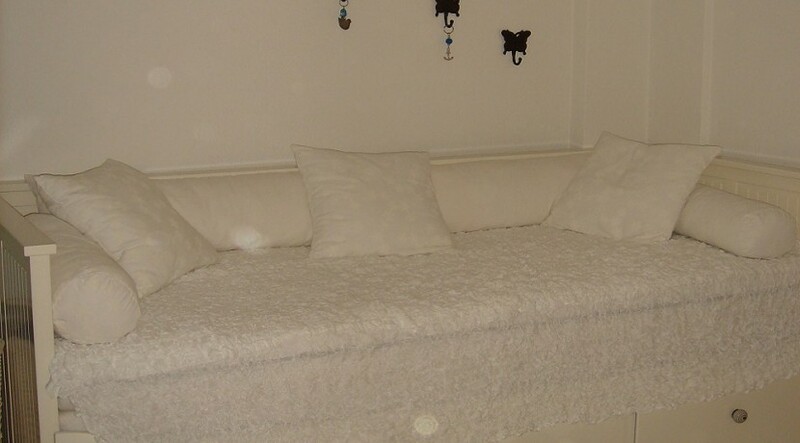 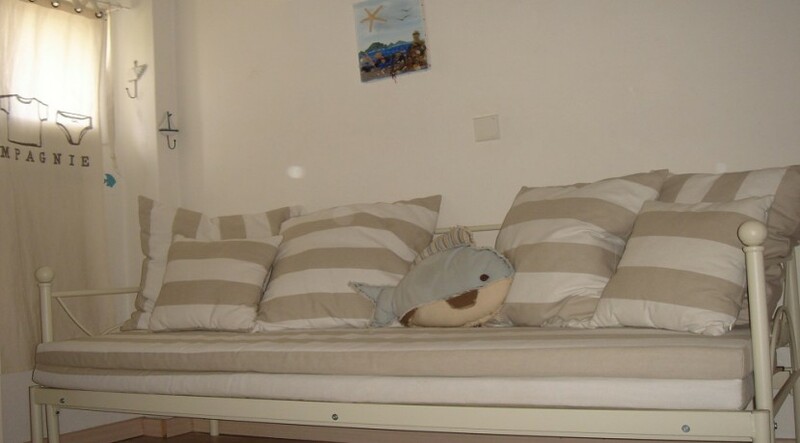 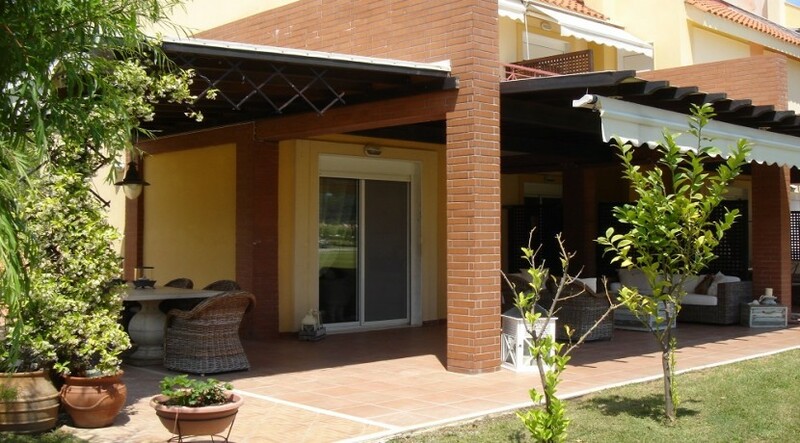 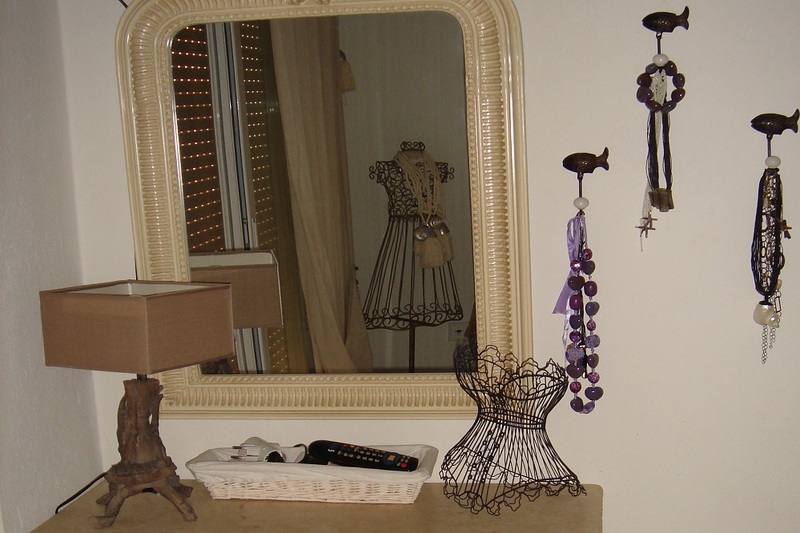 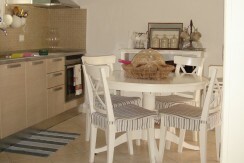 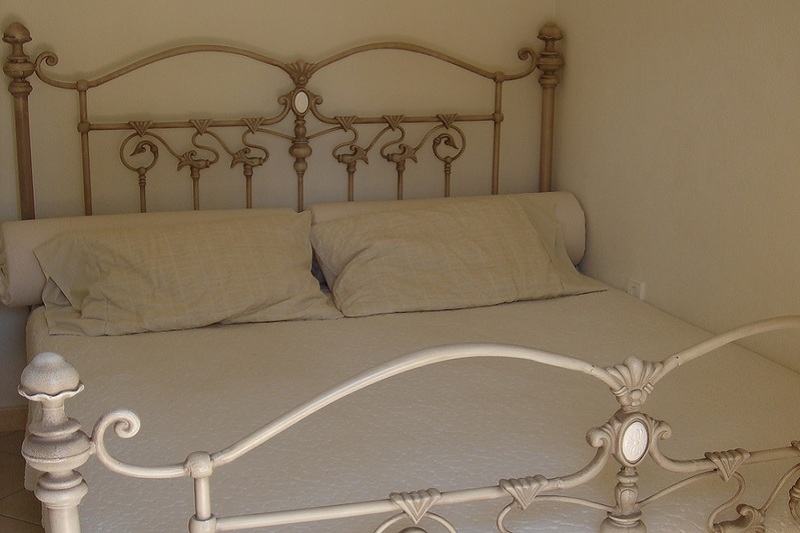 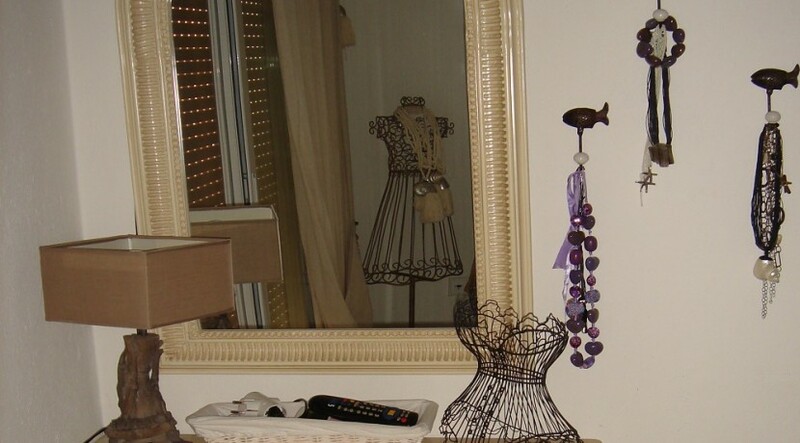 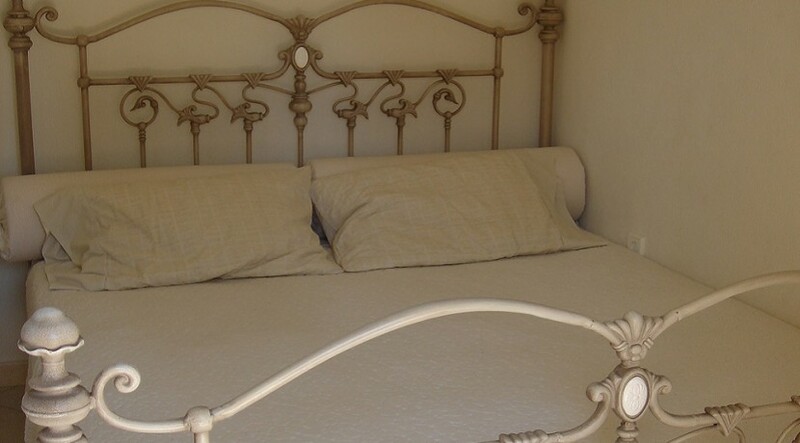 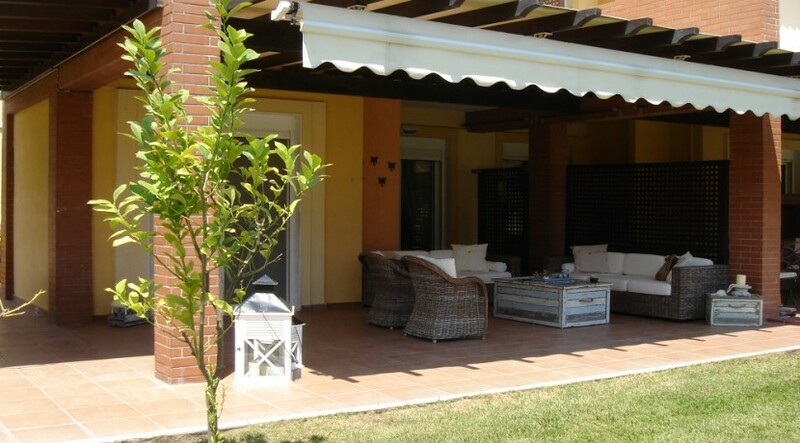 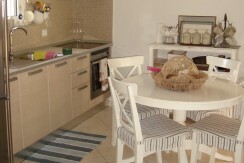 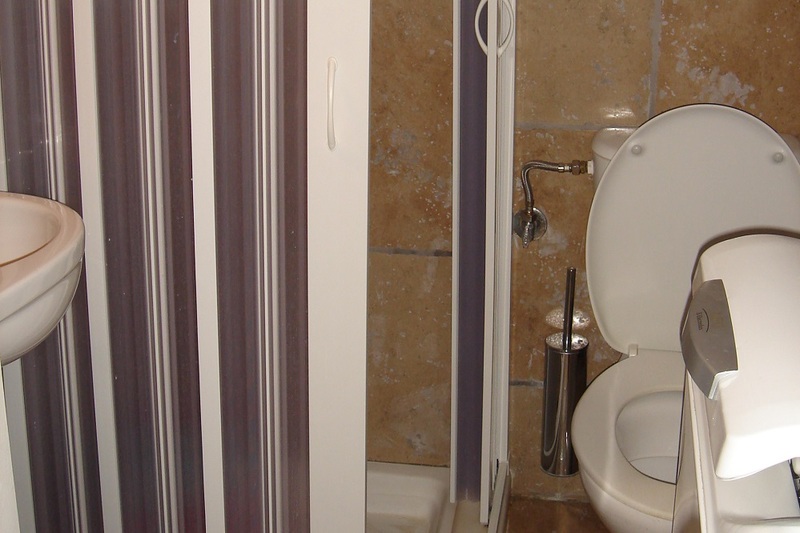 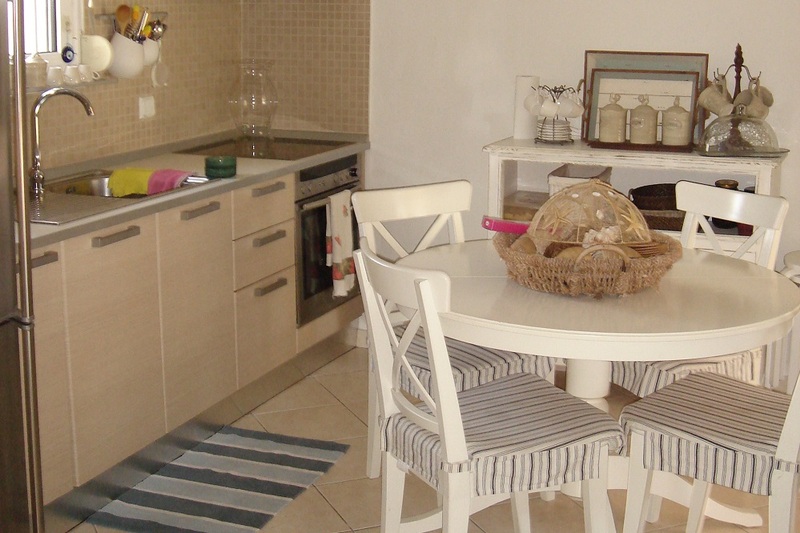 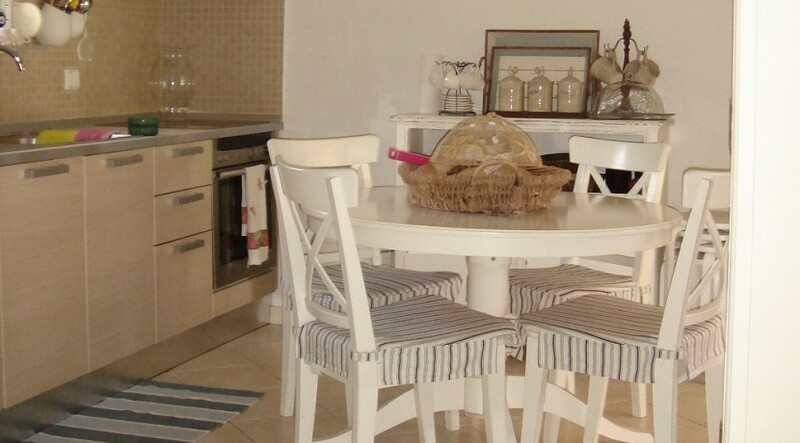 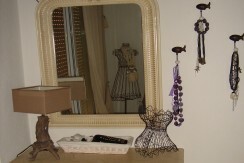 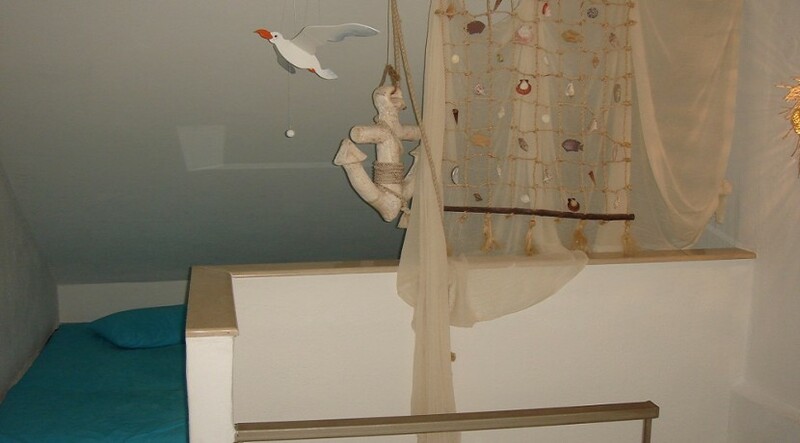 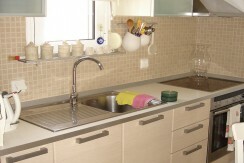 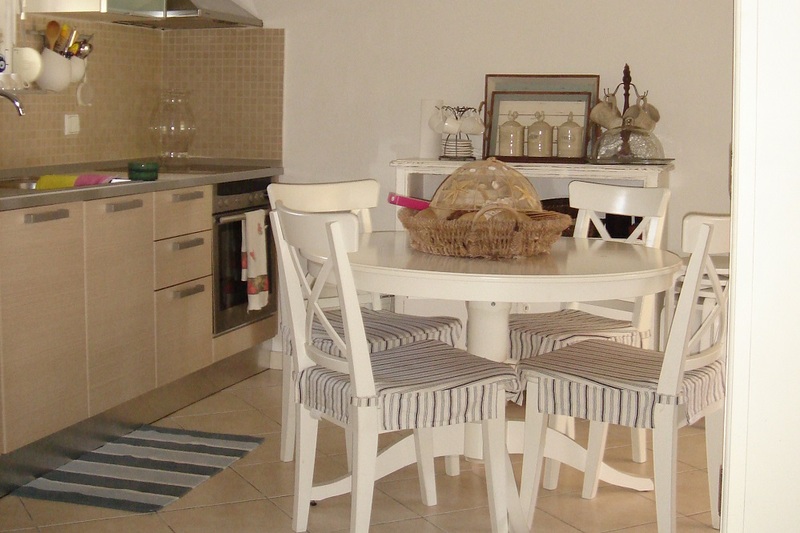 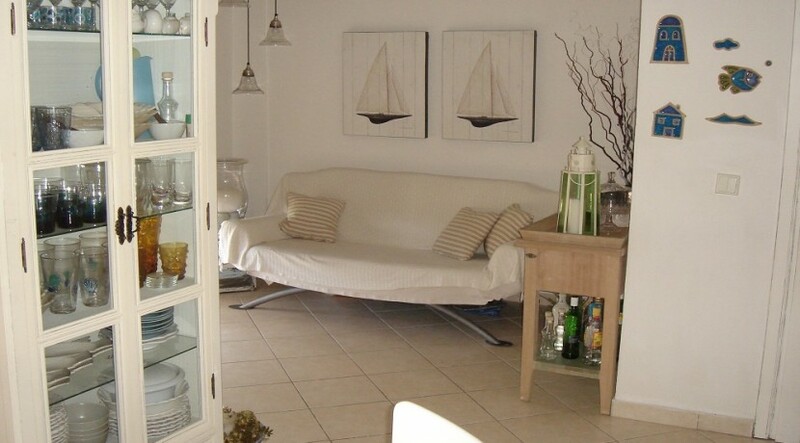 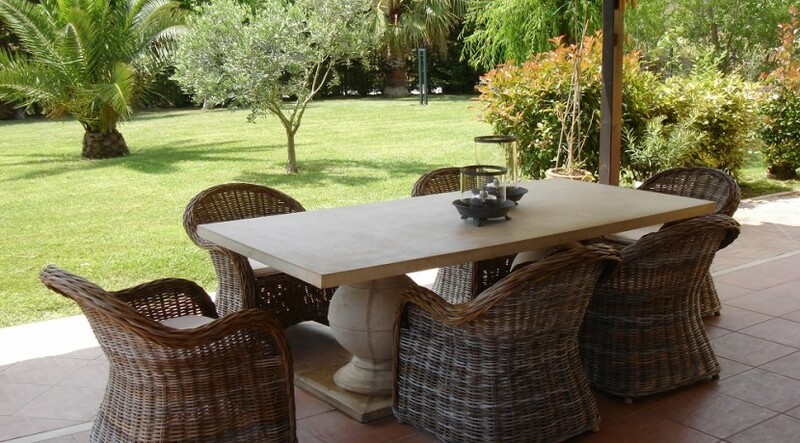 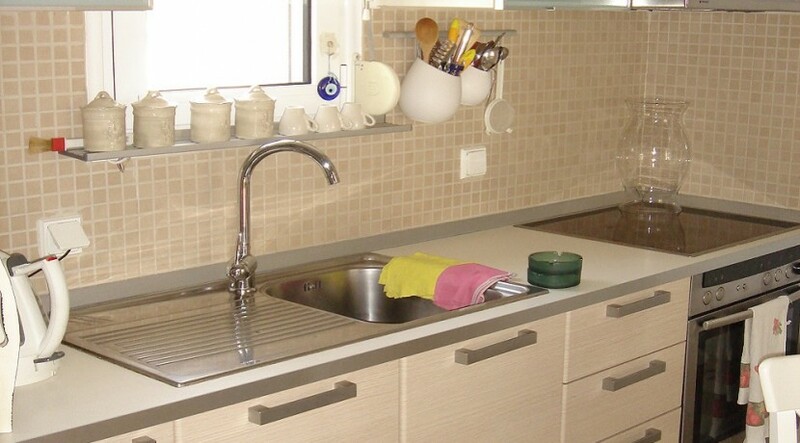 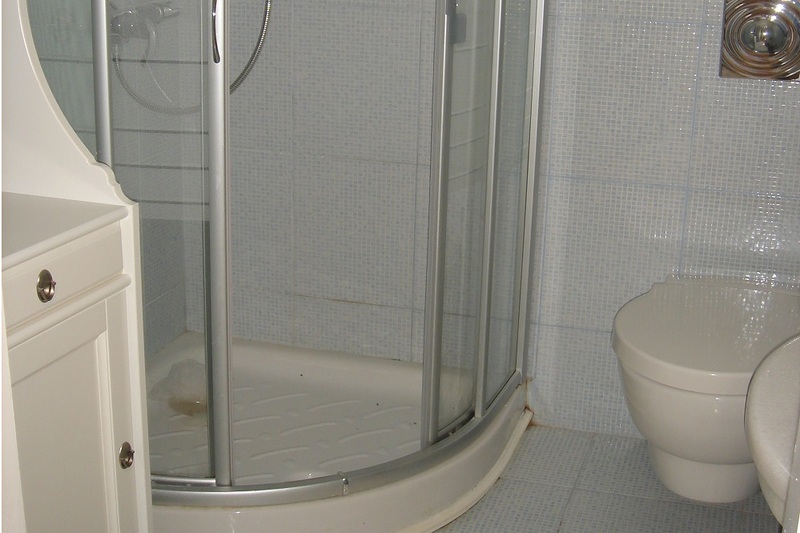 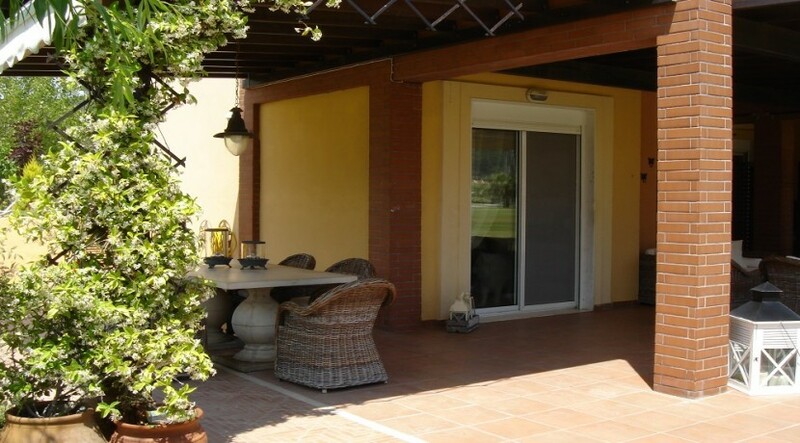 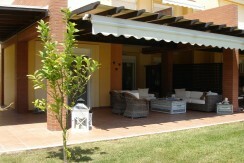 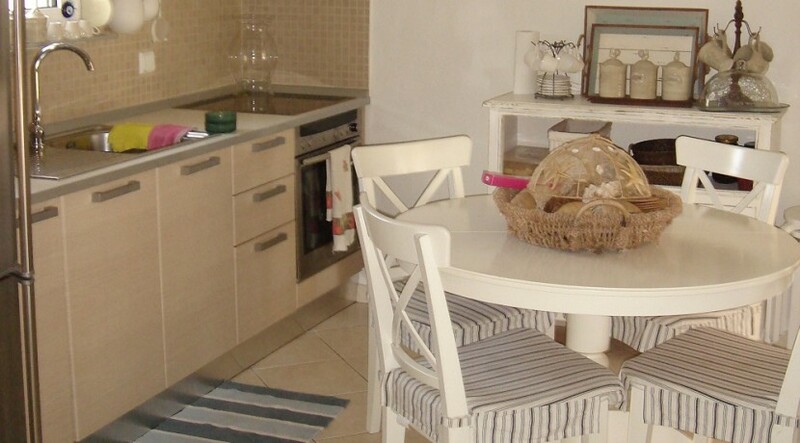 Name of property: Chalkidiki Tripotamos Villa B, 80m2 for 6 Persons. 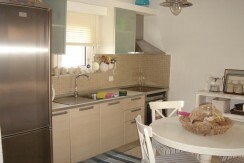 Description of property: 3 Bedrooms, 2 Bathrooms, Living Room, Kitchen. 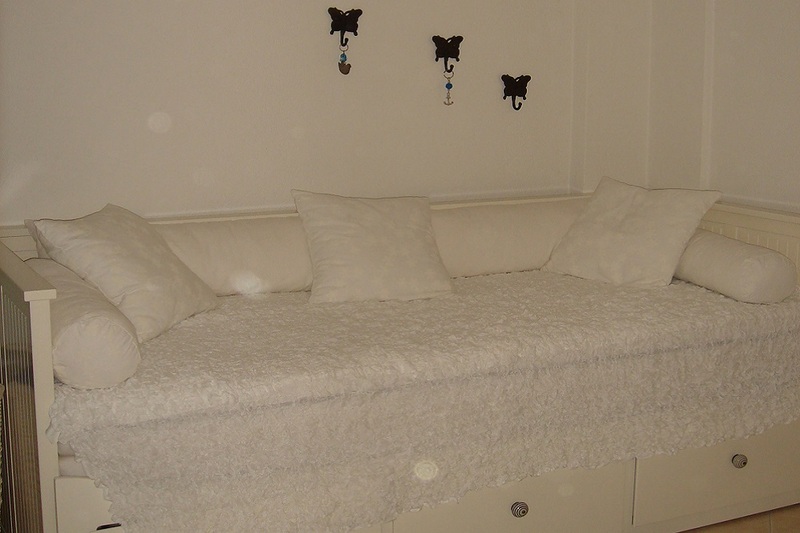 Description of bedrooms: 1 Bedroom with Double Bed, 1 Bedroom with Double Bed & Single Beds, 1 Bedroom with Sofa Bed. 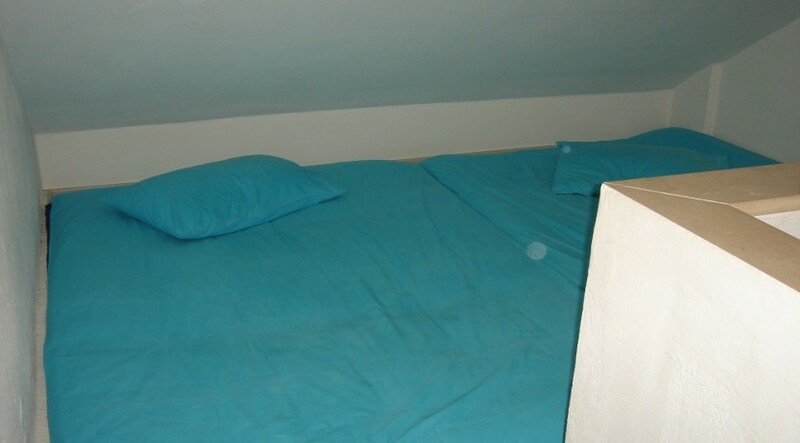 Room service: Room cleaning every 7 Days, Meals are not provided. 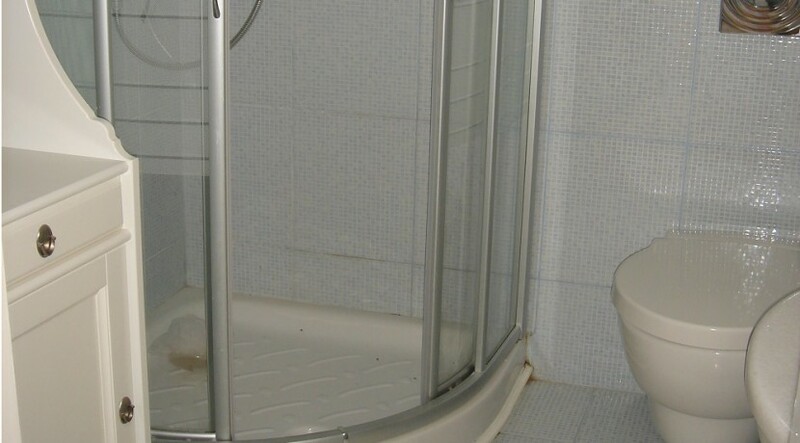 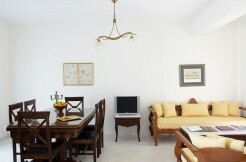 Description of equipment: Air Conditioning, TV, Washing Machine, Wi-Fi. 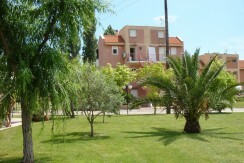 Description of Garden: Public Garden,Barbecue, Parking. 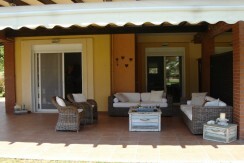 On the beach: Private Umbrella On The Beach – Free. 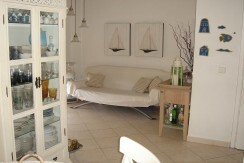 Distances: From The Beach 80m, From Town 3km, From Airport 100km. 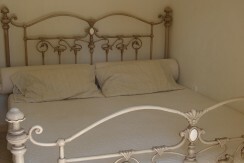 Rates per night: Minimum stay 5 nights, Rates per month -10% except August. 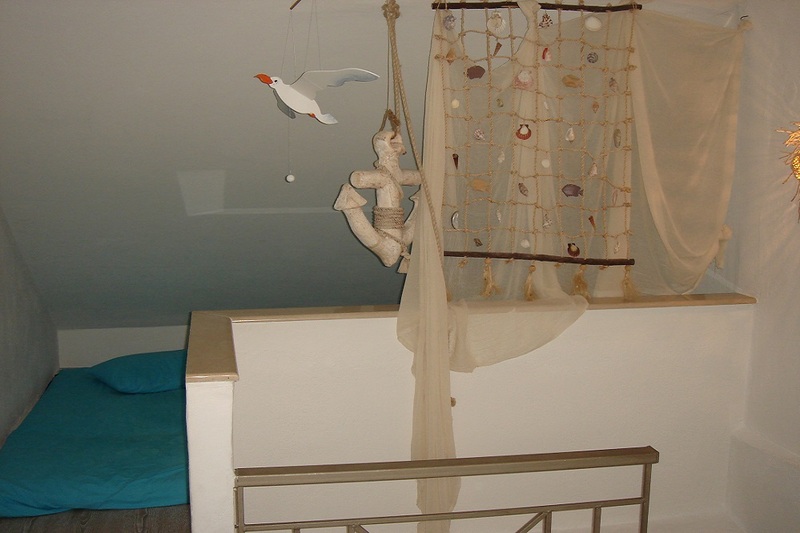 More information: The complex is located in Chalkidiki – Sithonia – Neos Marmaras in the cottage Tripotamos. 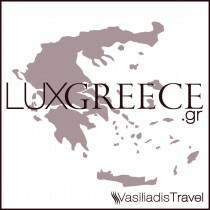 100 km (1.50 hour drive) from the airport of Thessaloniki, 5 km from the famous complex of Porto Carras. 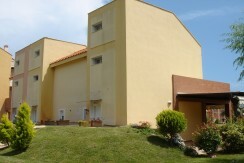 3 km there is the resort village of Neos Marmaras with developed infrastructure. 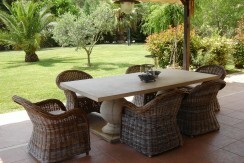 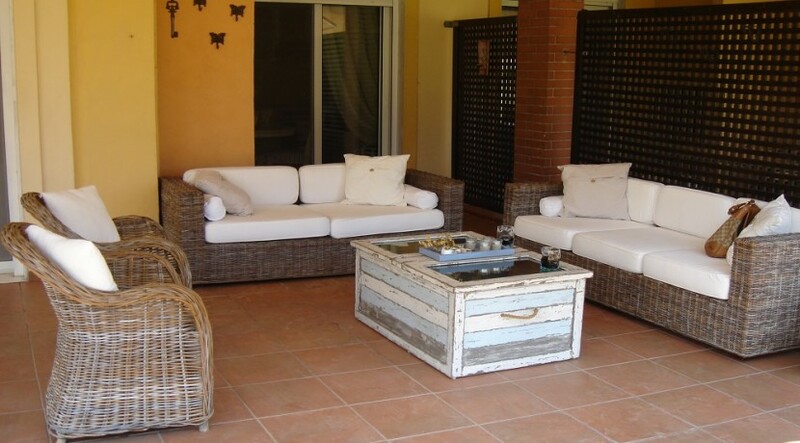 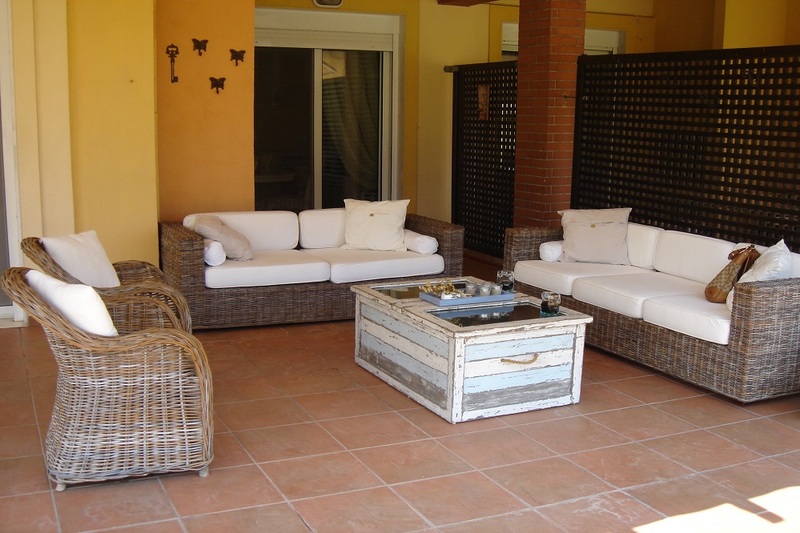 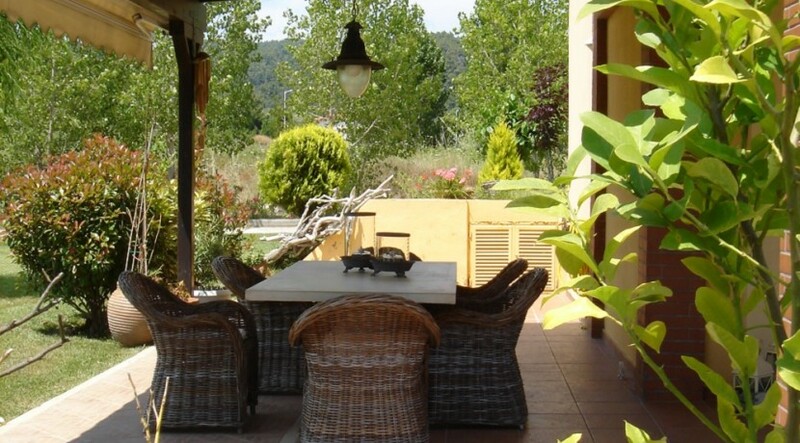 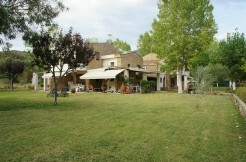 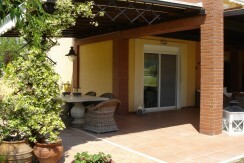 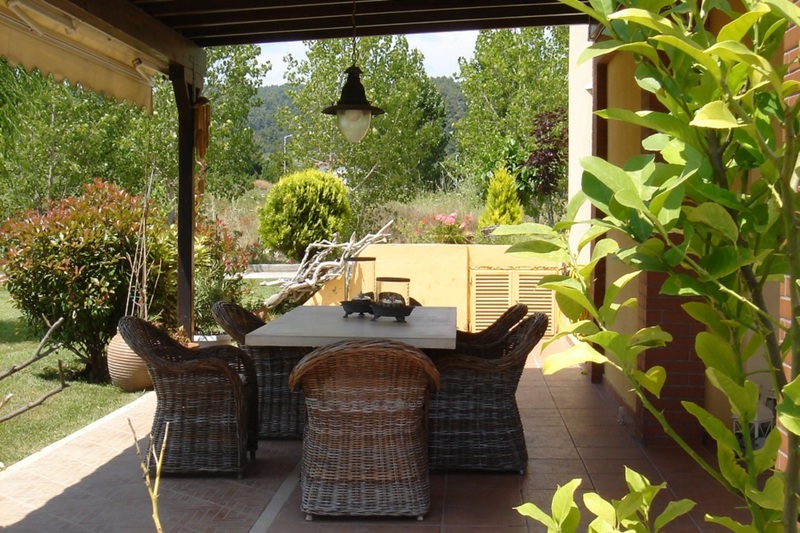 The territory has its own garden with outdoor furniture, barbecue, shower, green lawn. 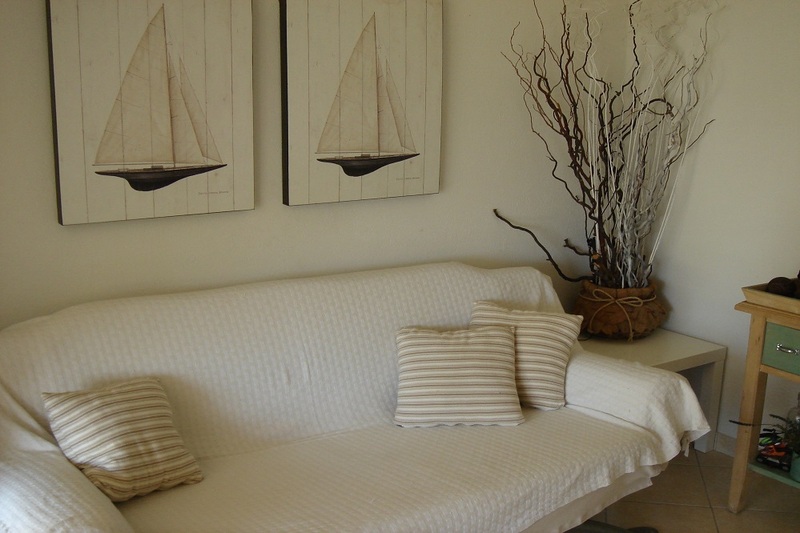 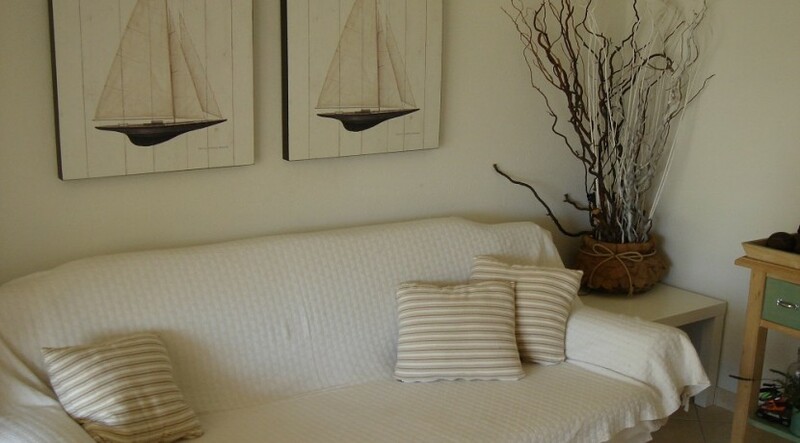 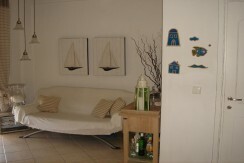 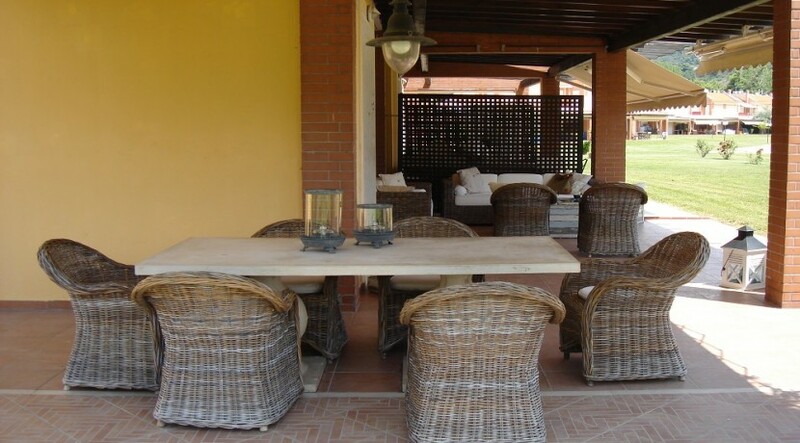 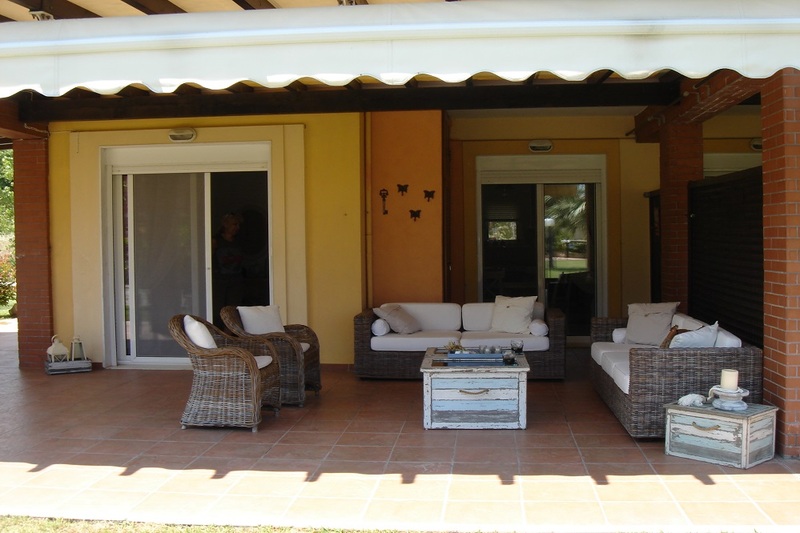 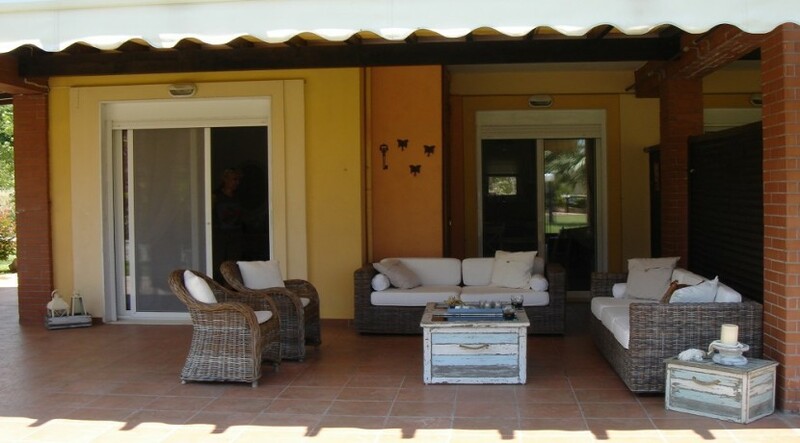 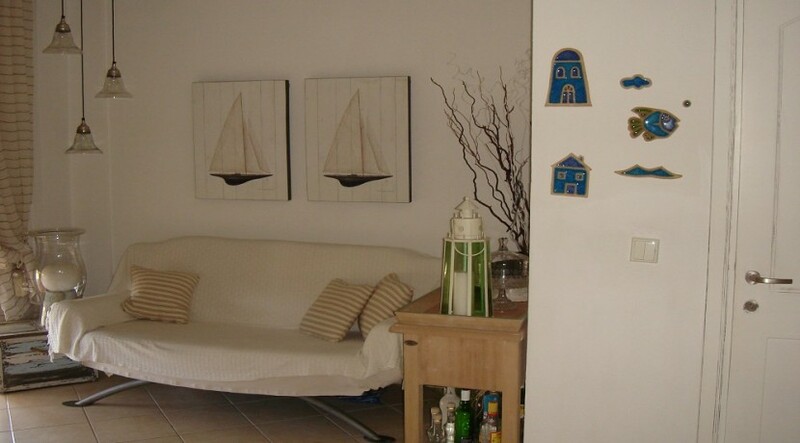 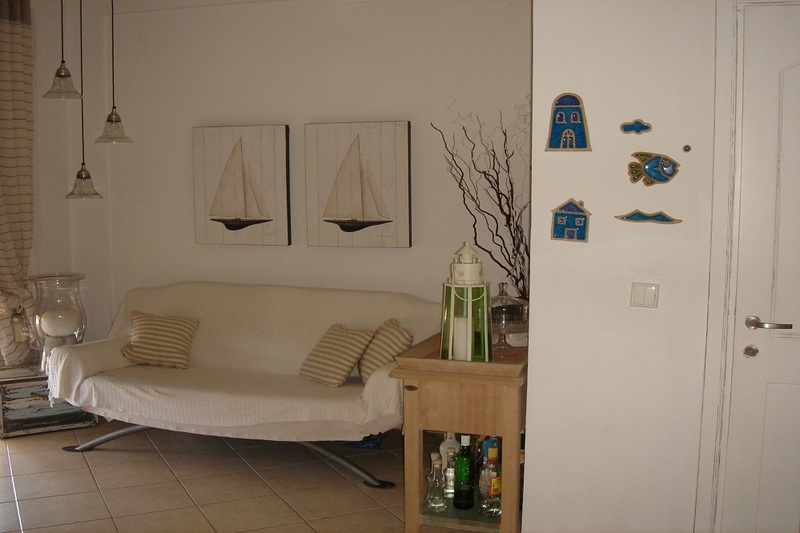 The total area of 80 m2 villa 3 bedrooms, next to the sandy beach, maisonette style. 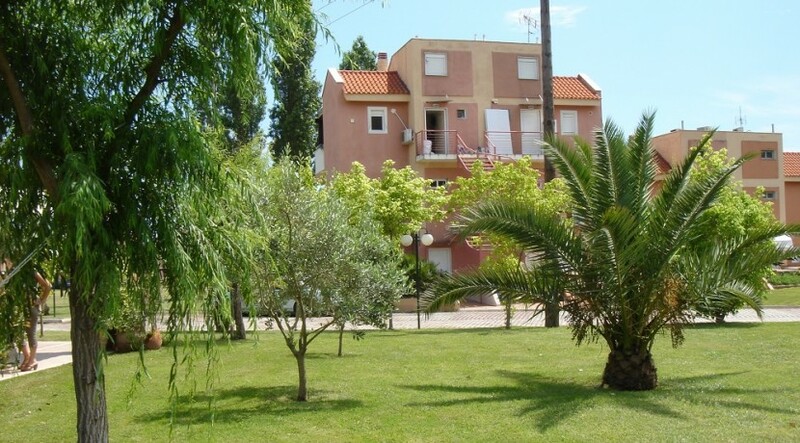 1st floor: living room and kitchen, air-conditioned, has kitchen utensils and all the necessary cooking utensils, dishwasher, washing machine, clothes dryer, ironing board, coffee maker, toaster, television. There is a possibility of additional 1 guest (in the living room on the couch). 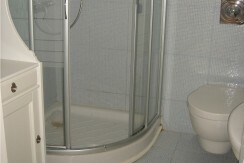 2nd floor: 2 bedrooms with air conditioning, 1 shower room with WC, towels, slippers, bath accessories, soap, toilet paper, hair dryer. 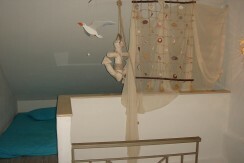 3rd floor: 1 bedroom for adults and children with air conditioning. 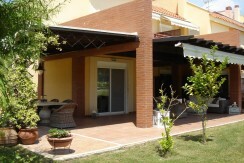 The villa is located by the sea on the first line. 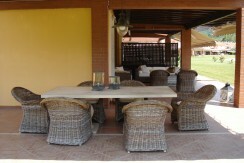 On the beach there are 2 sun beds umbrella and beach chairs.